New research show that heart disease patients who regularly practice transcendental meditation reduces the risk of death, heart attack, and stroke. Meditation is a practice where the person produces a deep state of relaxation, tranquility, and calmness. It is done by focusing attention to a mental image, train of thought, calming word or phrase, or imagining oneself in a calming situation. Meditation also requires removing oneself from stress and distractions during the practice. Meditation usually is associated with a spiritual or religious component but is not always the case. 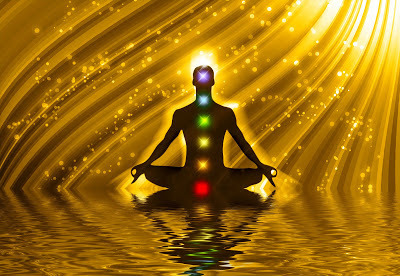 There are meditation techniques that has none of these connotations and its goal is to achieve an enhanced physical and emotional well-being. Transcendental meditation is a type of meditation technique where a mantra, such as a word, sound or phrase is repeatedly silently to narrow the conscious awareness and eliminate all thoughts from the mind. The point of focus is exclusively on the mantra to achieve a state of perfect stillness and consciousness. Transcendental meditation is one of the most practiced type of mediation and also the most researched meditation techniques. African Americans with heart disease who practiced Transcendental Meditation regularly were 48 percent less likely to have a heart attack, stroke or die from all causes compared with African Americans who attended a health education class over more than five years, according to new research published in the American Heart Association journal Circulation: Cardiovascular Quality and Outcomes. Those practicing meditation also lowered their blood pressure and reported less stress and anger. And the more regularly patients meditated, the greater their survival, said researchers who conducted the study at the Medical College of Wisconsin in Milwaukee. "We hypothesized that reducing stress by managing the mind-body connection would help improve rates of this epidemic disease," said Robert Schneider, M.D., lead researcher and director of the Institute for Natural Medicine and Prevention in Fairfield, Iowa. "It appears that Transcendental Meditation is a technique that turns on the body's own pharmacy — to repair and maintain itself." "Transcendental Meditation may reduce heart disease risks for both healthy people and those with diagnosed heart conditions," said Schneider, who is also dean of Maharishi College of Perfect Health in Fairfield, Iowa. "The research on Transcendental Meditation and cardiovascular disease is established well enough that physicians may safely and routinely prescribe stress reduction for their patients with this easy to implement, standardized and practical program," he said.